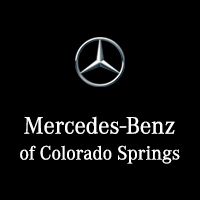 Mercedes-Benz of Colorado Springs is part of the Phil Long Family of Dealerships, an automotive group that includes 10 franchises and 25 locations throughout the region. Born in 1918 in Oklahoma, Phil Long had intended to pursue a career in law while studying at the University of Michigan, but the outbreak of WWII led to his decision to enlist in the navy. Long became a Hellcat fighter pilot and flew in 120 dangerous missions in the Pacific. He was discharged in 1945 at the end of the war as a highly decorated Lieutenant Commander. One month after being back at home, he purchased a Ford dealership, beginning an automotive legacy that continues to this day. Phil Long Dealerships like Mercedes-Benz of Colorado Springs have proven to be so successful in part because of our commitment to you, the customer, but equally because of our commitment to the community. Throughout the years, the Phil Long Family of Dealerships has contributed time, money, leadership, and advocacy to countless local, state, and national causes, having a positive impact that is almost impossible to measure. Supporting veterans is a direct part of our heritage, and the dealership currently works to solve the transportation needs of the families of active duty soldiers. The good people of Monument, Larkspur, Castle Rock, Boulder, and Denver have supported us for more than 60 years, and we believe in giving back in any way we can. We invite you to visit our dealership in person six days a week to discover for yourself what makes us so different. Our vehicle inventory includes the complete lineup of new Mercedes-Benz vehicles, as well as a huge inventory of pre-owned options for you to consider. We have a fast and easy financing process that is focused on you, and our service department is staffed by some of the finest technicians in the area. Find the luxury experience you deserve and work with a team you can respect at Mercedes-Benz of Colorado Springs. Visit us today at 730 Automotive Dr, right here in Colorado Springs!